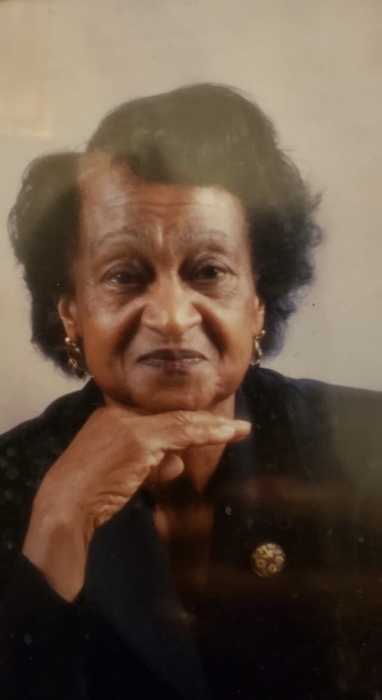 NEW ALBANY- Mother Viola Black Harris was born March 23, 1926 to the late Jim Black and the late Luella McAlister Black. She departed this life on Thursday, April 11, 2019, 7:45 p.m. at Sanctuary Hospice Tupelo, MS.
She was united in holy matrimony to Willie B. Harris in 1941. To this union six children were born. She confessed hope in Christ at an early age and was a member of Union Prospect M.B. Church where she served as an Usher, Choir member, Mother Board member and the Missionary Department. She remained faithful to the church until her heath failed. Her favorite song was "Sweet Home" and "Down here Lord Waiting on You." She sang them well up until her 93rd birthday. She loved to cooking sewing, gardening and canning vegetables. She also loved fishing. She leaves to cherish her memories five daughters: Ola Bell Graham (William) of Blue Mountain, MS, Lula Bell Stokes (Ray), Lillie Beatrice Stokes (George), Lowanda Wade (J.Q.) all of New Albany, MS, Onnie Ruth Ivy (Harrol) of Baldwin, MS, one son: Willie James Harris (Mary) of Blue Mountain, MS, 25 grandchildren, 28 great grand- children, 10 great-great-grandchildren, and 3 god-children. She was preceded in death by her husband: Willie B. Harris, parents: Jim and Luella Black, step-father: Andrew Braddock, great- grandson: K.J. Knox, son: Bobby Junior Harris, one brother: Jimmy Black, five sisters: Minnie Lee Jeffery, Sarah Mosley, ElmizieStubbs, Lize Simpson, and Gracie Foster. Services will be held on Saturday, April 20, 2019 at 11a.m. at Union Prospect M.B. Church in New Albany, MS. Burial will take place in the church cemetery. Serenity-Simmons Funeral Home of New Albany is in charge of the arrangements. Visitation will be on Friday, April 19, 2019 from 4-7p.m. at Serenity-Simmons Funeral Home Chapel.